Gently promotes relaxation and sleep without "hangover" by providing standardized herbal extracts that are among nature’s most soothing and relaxing botanicals. Andrew Lessman's NIGHT TIME is a gentle balanced blend of natural ingredients designed to help promote a restful night's sleep without a morning-after hangover. The pace and stress of modern life, along with the normal aging process seems to conspire to prevent a restful night's sleep. As a result, we often find ourselves fatigued throughout the day, since sleep is our body's means of recovering from the demands of daily life. NIGHT TIME is not intended to be a “sleeping pill” to “knock you out,” but is designed to provide the natural tools to help you fall asleep naturally thereby achieving a restful night's sleep. 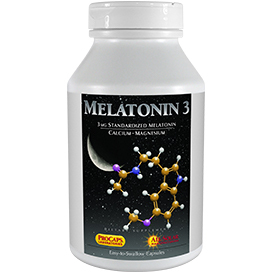 NIGHT TIME begins with our body's primary sleep scheduling substance - Melatonin at levels intended to gently encourage sleep without dependency or hangover. We then add 5-hydroxytryptophan (5-HTP) from Griffonia Simplicifolia Seed because of its role in serotonin synthesis, which helps to enhance sleep quality while also helping to support positive mood. We then include four of Mother Nature's most powerful soothing, relaxing plants: Valerian Root, Hops, Passionflower and Chamomile. All of these plants have been used traditionally for centuries to encourage relaxation and a restful night's sleep. Each of these botanicals is included as an exceptional quality standardized extract to ensure the delivery of their most important sleep and relaxation supporting components. A good night's sleep is essential to a happy, healthy life and our NIGHT TIME provides the comprehensive support necessary to safely and naturally help you achieve the restful night's sleep required to wake up energized and refreshed the next day. For a restful night's sleep, consume one capsule 30 minutes before bedtime or as recommended by a health care professional. As many as 3 capsules can be taken before sleep, but no more than 3 capsules in any 24-hour period. WARNING Not for use if you are pregnant or lactating, driving a motor vehicle, operating machinery or using sedative drugs. If you are under a physician’s care, seek their advice before using this product. Discontinue use at least two days before any procedure requiring general anesthesia. My teenage daughter was having some trouble calming her thoughts when she went to bed. She tried the nighttime noise app but that didn't work and since I love ProCap products, I ordered these. She does have to take the full 3 caps at bedtime in order for her to ease into a full night sleep, and that is why I gave it only 4/12 instead of 5. Otherwise, this is a lifesaver of a product for her. Thanks again Andrew for a fantastic, quality product. Best produce I have ever taken for night time sleep. Makes me sleepy with in 30 minutes. No hang over when waking up in the morning. When I go to the rest room in the middle of the night I get right back to sleep. I've used this product for several years and I'm asleep within an hour of use. Even though I'm middle-aged, I don't seem to have the sleep issues associated with aging. I take one and within and hour or so I'm asleep, they work much better that any other over the counter sleep aid I've tried. I am a person who usually doesn't have issues with sleep. However, every 3 months I go on a 12 hour shift that works Friday and Saturday on day shift, then Sunday and Monday on night shift. Needless to say, my sleep is very confusing to me and my body. I just started taking Night Time and all I can say in I haven't slept so good or felt so rested in a very long time. The biggest challenge is getting to sleep on Thursday night in time to be rested for being at work Friday morning. I was using a sleep drug and it knocked me out thats for sure, but I never really felt rested in the morning, and I really not sure what the chemicals it contains was doing to my body, except making it harder for me to sleep without taking the pills. This is an awesome, great product. I recommend to anyone having sleep issues. 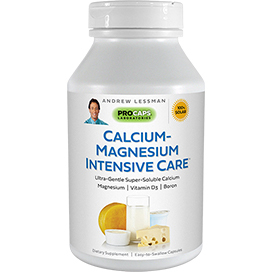 I bought this product on a "whim" since I was taking 5HTP from another company and saw Andrew's presentation mention this product. WHAT A DIFFERENCE in my night's rest! This product is remarkable and now on my AUTO-SHIP list. I am so much more rested that I hope to never be without this product. Just try it for 60 days... see and feel the difference! These work. Not much more I can say. I take 1 and am asleep within a half hour. I have taken this product for years. It allows one to fall off into a gradual, restful sleep. Some nights, I even sleep through the entire night without waking up. I just found out I am out of product as of this evening. Here I am, rushing to order more! I put myself on auto ship so this doesn't happen again. My son now takes Night Time when he MUST be up early in the morning for his college classes. Andrew, I hope you will always continue to make this product - Thanks for your commitment to safety, wide range of products offered, and careful attention to research. This customer greatly appreciates your effort! Can't sleep? Up all night? Try the Night Time Little pill. This has made such a difference for me. There are some nights that I know I will have difficulty sleeping and or staying asleep. This product gently relaxes me and if I wake before I need to, I drift back into sleep. In the morning I feel refreshed with no leftover grogginess. Restful sleep... wake up refreshed! I absolutely love Night Time! It allows me to fall into a very deep restful sleep and wake up feeling refreshed. I never oversleep or feel groggy upon waking. Also, if I am experiencing any muscle pains or strains, I take Night time before bed, and it helps my body to relax, helping me to sleep peacefully. I don’t take Night Time every night. Only when I feel that I really need a good night’s rest. This product is awesome! I had to take Benadryl every night for years just to fall asleep but always felt groggy every morning and dehydrated. 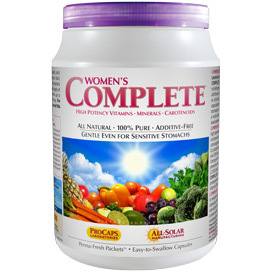 When I decided to take this I was skeptical but I love this product. It relaxes me and I sleep soundly each night and wake up refreshed. It took me a few days to really appreciate its benefits but I am so glad I decided to try. I am now a loyal customer to this product. Thank you. These makes me not only fall asleep but also stay asleep. I do not wake up with the hangover feeling from pills or alcohol to relax. Wake up feeling totally normal but better from having a good night’s sleep. All 3 users have our own bottles in this house and will not be without it!! 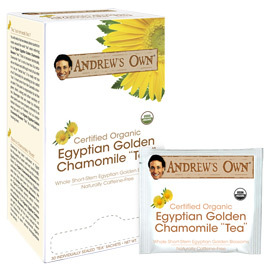 Ages 20's and 50's we all love it...Thank you Andrew for healthy options my Doctor approves of me using. I can't take chemicals at all!!! I have been taking this for a year and love it. I used to take one that had pain reliever in it. I did not have pain love this because I wake up rested. Try it - it takes about a week to get use to it. Since the first night I tried Sleep Benefits I've fallen asleep easily, slept peacefully and wakened rested. 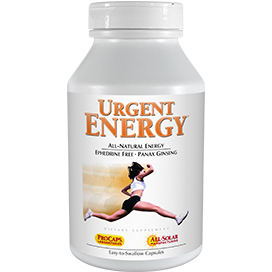 No more feeling restless, waking often and feeling too stressed to go back to sleep, then waking tired. Thank you for creating this formula. It's now on auto-ship of course. I tried 3 tablets of Night Time and feel asleep with in an hour, but wake up at 2am or 3am and can't get back to sleep. So I took 2 tablets and same thing. I also noticed when I take these I have weird dreams. Don't know what's in it that causes that, but will try taking 1 tablet & see if it does any better. The first time I used it--I took one capsule before going to bed. Fell asleep OK but woke up around 2-2:30am and had some difficulty getting back to sleep. Felt a little sluggish the next day. Last night took one before going to bed at 10:30. Woke up at 2:30-- again, could not go back to sleep till around 4:45am. In reading the reviews, a customer mentioned hops being in the formula and could be causing his sleepless nights. Maybe that's the case with me. I don't think I'll use it anymore. Sorry, Andrew, I love Secure and your other products but will have to pass on this one. I threw our bottle away. 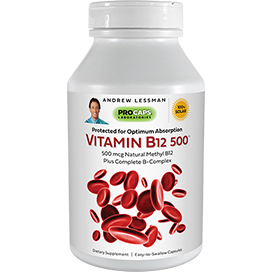 We love vitamins from Pro Caps!!! My son and I decided to try the Night Time last year. We both have a hard time settling down to sleep after busy days. 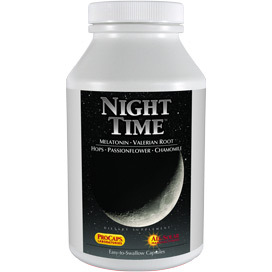 This product helped us both get to sleep peacefully, but around 2am to 3am, we would both be wide awake. When my son complained about waking up, I realized the nights coincided with using Night Time. We discontinued the pills, and the problem stopped. I then decided to throw our bottle away. It definitely helped us fall asleep, but could NEVER stay asleep. I learned this problem of falling asleep then being wide awake is a result of consuming Hops, also found in beer. I will not be ordering this product again. This product didn't work for me. It didn't help me get to sleep and the following day I felt somewhat off. I didn't return it hoping for better results but no luck. My husband took it two days in a row. No effect. Fell asleep with no problem but awake around 2-3:00am.Can't go back To sleep. Don't know the reason.